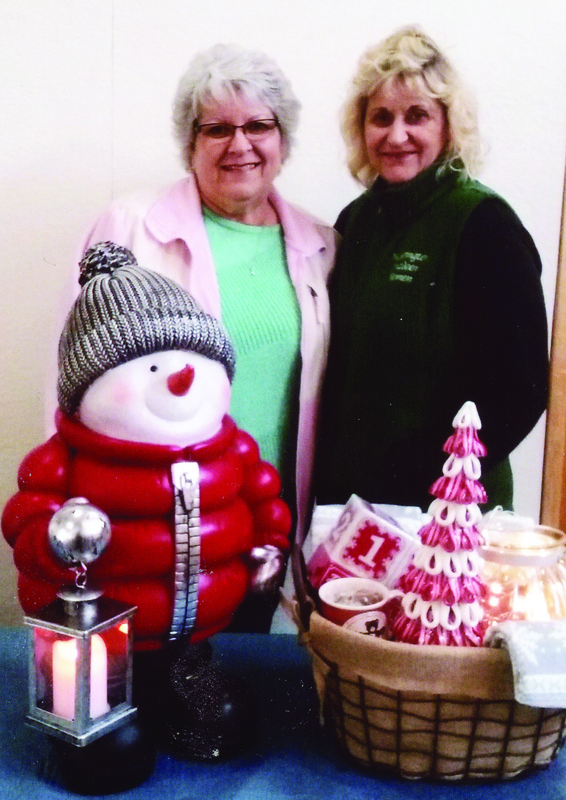 Nancy Baker and Cheri Ruf admire the gift basket / snowman that will be raffled off at the Pateros United Methodist Church Bazaar on Saturday, Nov. 4, from 10 a.m.-2 p.m. Also being raffled is a round of golf for four at Gamble Sands. Tickets are $1, with the drawing at 1 p.m. for the raffles. You do not need to be present to win. Lunch is a choice of three different soups, bread and pie for $5 and will be served beginning at 10:30 a.m. Pie and coffee will be available at 10 a.m., with door prizes being announced every 1/2 hour. Come meet your friends and neighbors and browse the vendors to buy that just right item.